Last week, I was honored when Natasha from Epic Mommy Adventures asked me to write a guest post about single parenting for her blog series during National Unmarried and Single Americans Week. I am so glad that the organization that promotes this week added the term “Unmarried” to the title. Because as a widow, I would rather describe myself with that word than as “single.” Although really, I actually still consider myself married. I still wear my wedding ring. And I still refer to Chaz as my husband. I’m not sure if, or when, that will every go away. But I do consider myself a “single mom.” Because it’s just me, every day and every night, caring for and raising our children. So of course I accepted the offer to write for her blog! After writing my guest post titled 5 Worries of a Single Mom, I thought it would be great as a Monday Mourning Widow Series post. So this week, I am linking back to it, and you can read it over on Natasha’s blog. You can find it by clicking the image below. 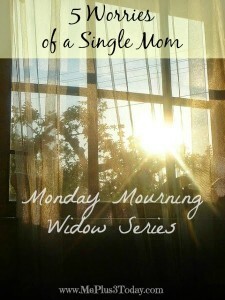 You can see the rest of my Monday Mourning Widow Series posts by clicking here. Don’t miss out on any posts in this series. Subscribe to have the latest posts from Me Plus 3 TODAY delivered straight to your inbox! If you’re a mom, single or not, follow my Tips for Moms board on Pinterest for great tips and stories! Follow Me Plus 3… TODAY!’s board Tips for Moms on Pinterest. 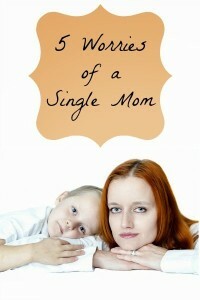 Tagged Motherhood, Single Mom. Bookmark the permalink. 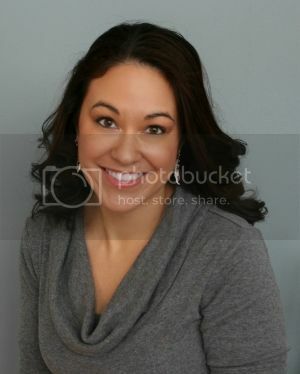 2 Comments on "Monday Mourning Widow Series #6: 5 Worries of a Single Mom"
Your strength is inspiring! I really enjoyed reading your post and will be back soon for more! Hi there, of course this post is in fact good and I have learned lot of things from it about blogging.